With the completion of ‘Recently Royal’ I am excited to announce the release of my new story ‘ D R E A M E R ‘ on the Episode Interactive app, by Pocket Gems. You play as Lenora, a typical girl living with her long-term boyfriend (and soon to be fiance), Max. Your life is turned sideways when, instead of slipping into a typical dream, you are transported to an adjacent reality where dark magic stains the streets of New York. There you meet the mysterious Killian, a man who believes you are the hero promised to his rebellion. What is the inspiration behind ‘DREAMER’? I had so much fun writing ‘Recently Royal’ and ‘Of Flesh and Fire’, I knew I wanted to continue writing within the realm of fantasy– but I wanted to mix it up. DREAMER is rooted in urban ‘magical realism’, and is more an action/mystery romance than it is a full blown fantasy. 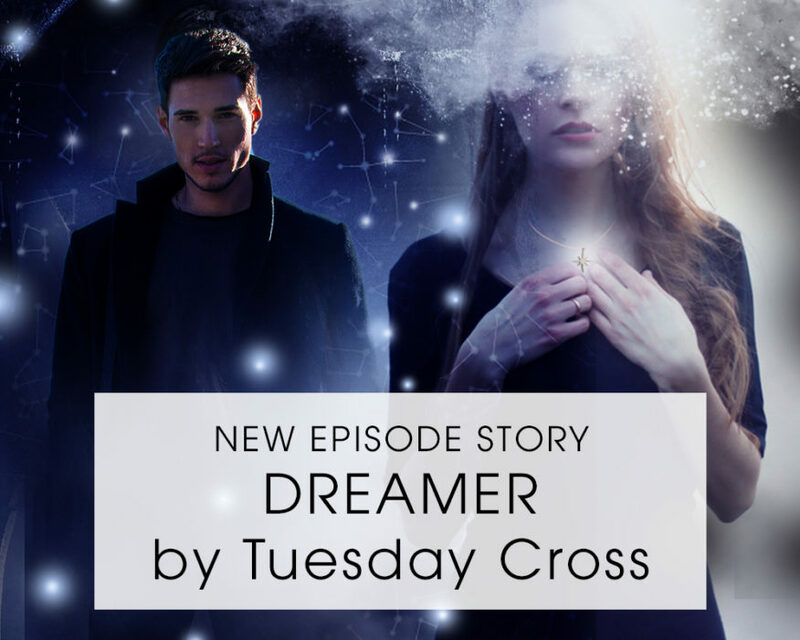 The base flavour for dreamer is urban fantasy and magical realism, but the meat of the story is all about the mystery, romance, and heartache, of leading a double life. These first three chapters serve as the ‘pilot’ chapters– if you (the reader) enjoy them, share the story, comment, and get generally excited (woo hoo!) then the story will continue! When will the next chapters release? It’s up to Episode! Make sure you share ‘DREAMER’ with your friends– the more popular the story is, the more likely it will be that I have the opportunity to continue it. Welcome to the ‘DREAMER’ contest! 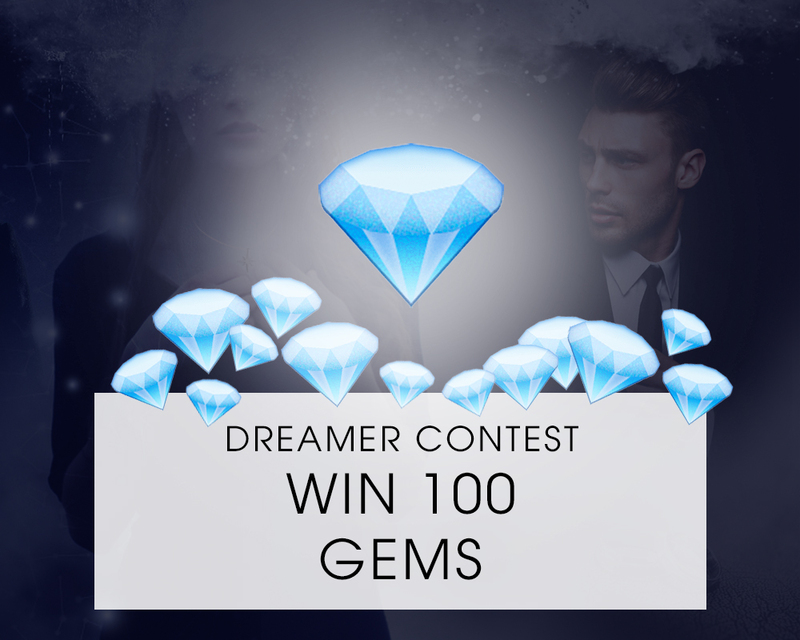 By screenshotting and sharing DREAMER on your personal instagram or facebook account,you could win 100 gems to use for premium choices in Episode Interactive! Contest begins March 6th 9am PST and ends March 20th, 2018, 11:59pm PST. Winner will be selected via random draw and announced on or before March 25th PST. Take a screenshot while reading ‘DREAMER’ and post it to your personal, active, instagram account. Include a caption which sums up your thoughts on the story so far. Tag @tuesday.cross either in the comments or in the screenshot itself so the entry can be counted. Take a screenshot while reading ‘DREAMER’ and post it to your personal facebook account. Tag Tuesday Cross either in the comments or in the screenshot itself so the entry can be counted.